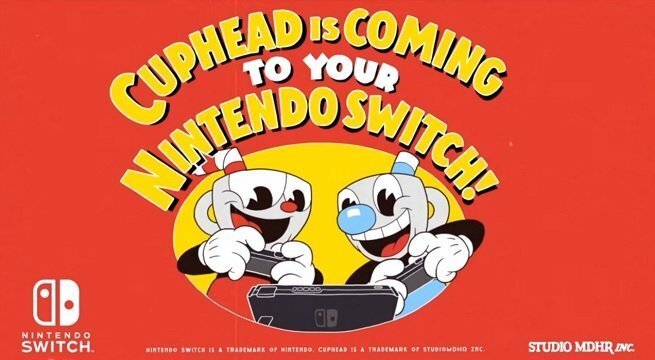 Today during a special Nindies Showcase livestream, Nintendo announced that Cuphead will be coming to the Nintendo Switch on April 18. Nintendo explicitly thanked Microsoft for helping the developers at StudioMDHR to bring their brilliant creation to the Switch. This marks the beginning of a newly-elevated degree of partnership between Nintendo and Microsoft, and we’re loving it. Do notice the broad wording. Microsoft intends to integrate Xbox Live more intimately for Nintendo Switch users generally, not just with Cuphead. This has been rumored for some time, and we’re happy to see confirmation from Microsoft. At the time of writing, Minecraft players can already unlock Xbox Live achievements by playing on Nintendo Switch. If you’re interested in checking out Cuphead when it launches on Nintendo Switch on April 18, it will be available to pre-order on the Nintendo Switch eShop starting today.